Back in February, my wife noticed a house while browsing the Internet. It was Saturday afternoon. 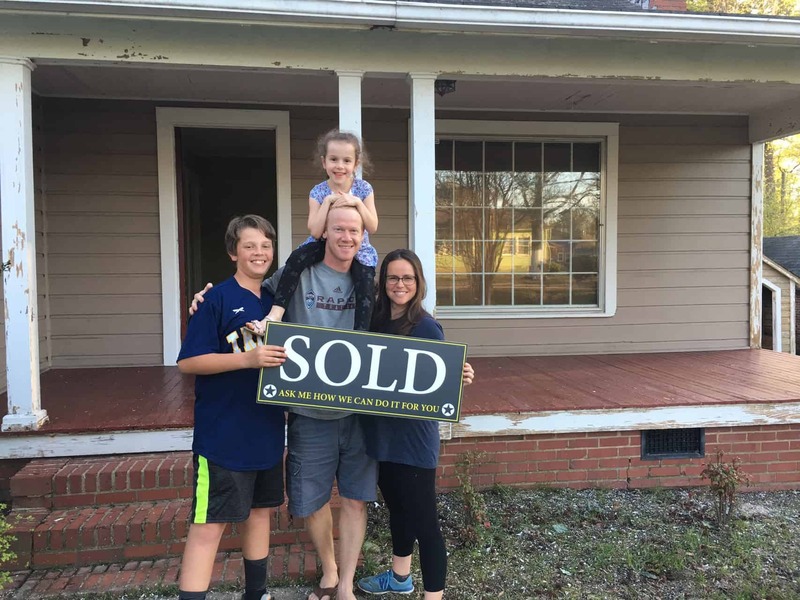 We were only halfway interested in buying: we figured we couldn’t afford anything decent, but our realtor Matt Minor had been encouraging us to keep our minds open. So, we texted him. He responded immediately, despite being in the middle of a weekend serving as a Captain in the Marine Reserves. He promised to call in a minute. He did so, introducing us to TJ, his associate. You would never know what a faithful churchgoing fellow TJ is from how enthusiastically he offered to give up his Sunday morning for the sake of our half-baked interest. He took us out to the house on Ross—and he threw in another visit to a comparable house across town. He was attentive and patient with our investigation, answering questions and providing helpful insights. There were many twists and turns from that point to the gourmet cupcakes. Every step revealed new layers of exemplary care and concern. TJ and Matt facilitated our use of a down payment assistance program. They negotiated for us to receive a major vendor credit. They were amazingly responsive to every question and impressively knowledgeable about every detail. They had one priority: to help us get the best possible house under exactly the right terms for us. They were honest and direct without ever being pushy. They were gracious and kind without ever being manipulative. We could not have asked for better service than what Matt and TJ provided. If we ever do it again—or we know anyone else who has need—we know exactly the team to call. Matt went Above and Beyond!